Sign up for special, free content. Focused For Business will use the information you provide on this form to be in touch with you and to provide content, advice, inspiration, interviews and details of online programmes, that make it quicker and easier to raise investment. 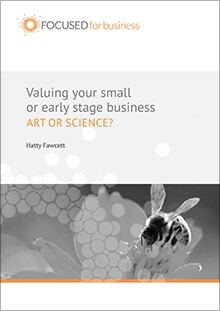 You’ll also receive a copy of the e-book “How to value your startup or early stage business: Art or Science?” straight away.